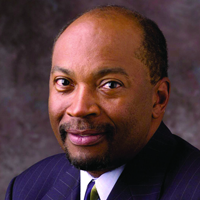 When Stacey J. Mobley began his career with DuPont Company in 1972, he was brought on board as the corporation’s first-ever minority attorney. Today, Mobley is senior vice president, chief administrative officer, and general counsel at the $27 billion global science company, and a member of the company’s six-member office of the chief executive. Growing up in Chester, Pa.—not far from DuPont’s Wilmington, Del. corporate headquarters—Mobley aspired to be a pharmacist. In his fourth of five years at the Howard University School of Pharmacy, he took a course in business law and was hooked. Just months after graduating, he entered Howard University School of Law. He received his juris doctorate degree in 1971. According to Mobley, corporate America’s lack of diversity may not be intentional. From the start, Mobley has considered DuPont’s legal department a very special place. Over the years it has become more diverse, says Mobley, and a more robust, problem-solving organization in the process. According to him, working in a diverse atmosphere not only gives an organization a competitive edge, but also makes it more fun. Undoubtedly, they say that and more of this luminary leader.